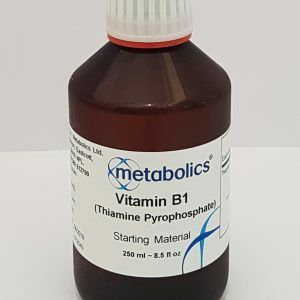 MTHF now replaces Metabolics’ Folinic Acid. Folic Acid needs to be converted (methylated) in the intestines and liver to its active form 5-methyltetrahydrofolate (5-MTHF or just MTHF) which is found in the blood and utilised by tissues. A very high percentage of people (60% in USA), have a genetic enzyme defect preventing them from converting Folic Acid to 5-Methyltetrahydrofolate, so MTHF may be the only effective form of Folate supplementation for these people. 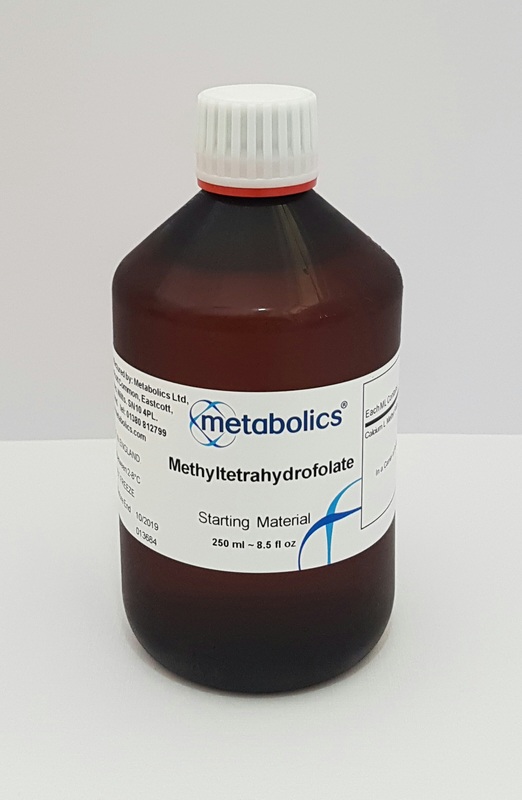 MTHF is important because it is essential in the methylation (conversion) of homocysteine to methionine. Homocysteine is a toxic metabolite involved in certain biochemical pathways in the body. 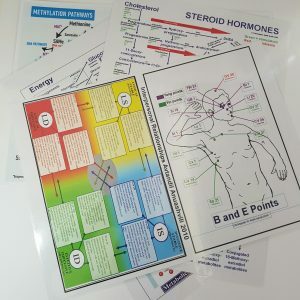 High levels of homocysteine are usually associated with cardiovascular disease, so it is important that the homocysteine is quickly converted to either cysteine or methionine whenever it is produced in the body. Methionine synthesis is also a very key event in this pathway, as it is subsequently converted to S-Adenosylmethionine (SAMe). SAMe is the common methyl donor required for the maintenance of methylation patterns in DNA that determine gene expression and DNA conformation. 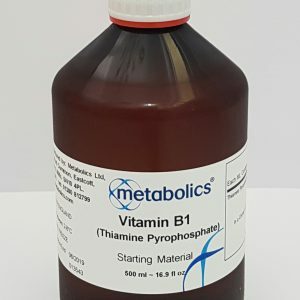 (Zingg and Jones, 1997) Active vitamins B12 (Methylcobalamin) and B6 (Pyridoxal-5-phosphate) are also required for the synthesis of methionine. MTHF is also required for normal neurotransmitter production, such as serotonin, dopamine, melatonin, adrenalin and noradrenalin. So is a good mood support and cardiovascular support. MTHF is also important as the most bioavailable form of Folic Acid during pregnancy. It plays an important role in preventing chromosome breakage and hypomethylation of DNA. If folate deficiency occurs Uracil is incorporated into DNA instead of Thiamine (Eto and Krumdieck, 1986;Wagner, 1995;Fenech, 2001). This can lead to mutations.